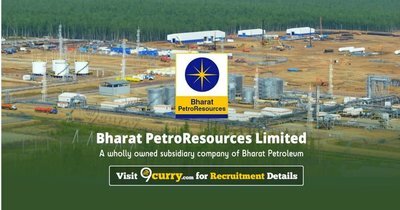 BPRL Recruitment 2019: Bharat PetroResources Limited (BPRL) / bharatpetroresources.com is conducting recruitment processes to fill 1 vacancy. As of now, there is one recruitment drive going on for Apply Online/ Offline for Managing Director Post. BPRL Recruitment 2018 - Apply Online for Drilling Manager & Company Secretary Posts in BPRL, Across India. Online Applications are invited by Bharat Petro Resources Limited (BPRL) from 14 Aug 2018 to 20 Sep 2018.